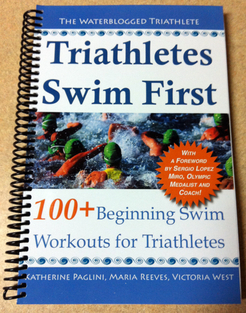 This is a great little set to incorporate into your training regimen. Here are some ideas: you can swim it, pull it, mix up strokes, or even kick it with fins. The easy swimming is a form of active rest. If you are training for a triathlon, you can practice sighting and saving your legs during the fast parts. I’ve Just Been Inducted into the AK Swimming Hall of Fame! YAY!!! Would this be an appropriate set for a beginner? Hi Joe, I think this is a great set for beginners. That being said, I also think it is more important to work on technique before speed. So, you could modify this set by working on lengthening your stroke instead of swimming fast and doing backstroke on the easy parts. You could also focus on breathing every 3 strokes at a steady pace instead of the fast or even doing drills instead of the fast parts. If you have any questions, please ask! Have a great weekend.